« SUPERSTAR WRITER/ARTIST FRANK MILLER RETURNS TO BATMAN! The internet just blew up and everyone is freaking out- I’ve seen the statement (or one similar to it) “You’ve got to be joking” about 15 times in the last hour. You’ve heard about it by now, right? 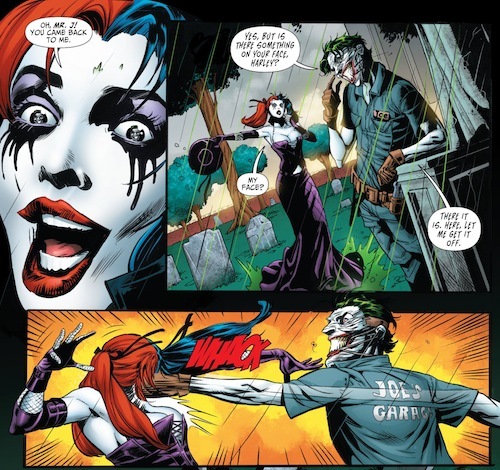 Well… if you haven’t, I’ll tell ya- they released Jared Leto’s Joker for the upcoming Suicide Squad in 2016 and it’s got everyone all fit to be tied in a straight jacket and crazy enough to be admitted to their own quiet corner in Arkham. But really, folks… c’mon. What’s the issue here, exactly? 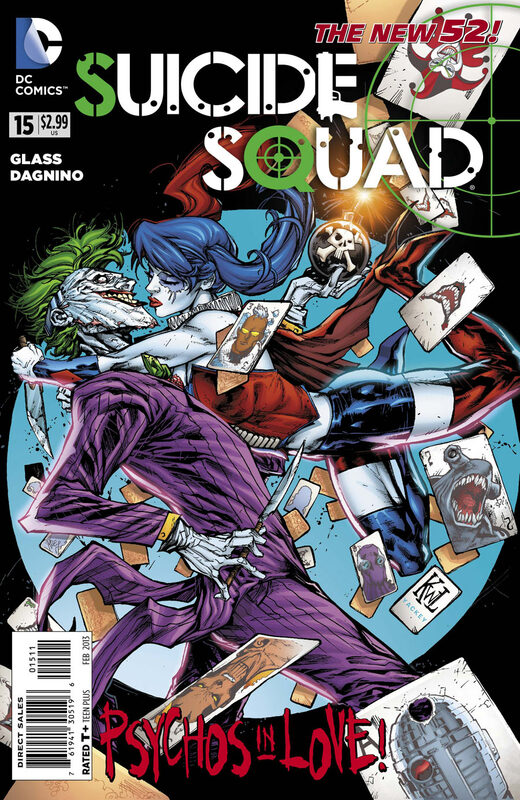 Now, I’m not defending or damning it at this point because I’ll be honest, I don’t know a THING about Suicide Squad. But when I review the artwork of the book then compare it to the concept photo released today… it really doesn’t seem that far off. So folks, clue in a mama who hasn’t had time to check this series out. Is it really that bad? 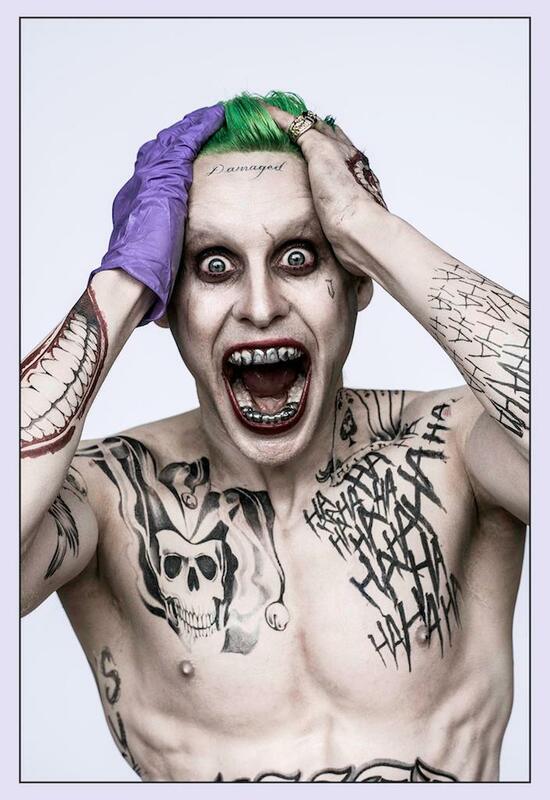 Or are you all just freaking out because it’s not YOUR version of Joker? 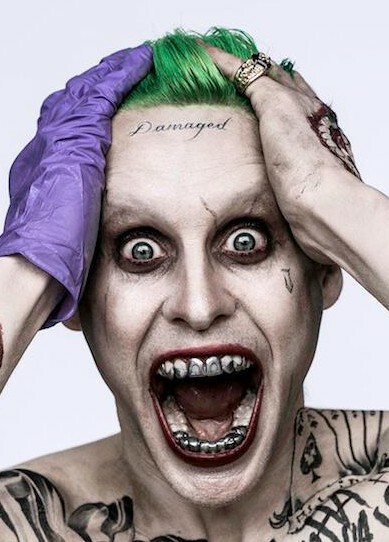 Because… this is not MY joker, either… but it doesn’t mean it’s bad or wrong or stupid or whatever else all the crazy fanboys and girls wanna jump to the interwebs and yell about, so I have to assume there’s more to it than just what’s on the surface, because it really doesn’t make sense. Am I missing something? I mean, I’m not personally a fan of that grill or the tattoos, (mainly because I am pretty sure they sold bumper stickers that looked like every single one of these at Hot Topic 15 years ago and that combined with the grill just make him look kind of ghetto) but that doesn’t mean it’s off target with the concept. It just means they maybe took it a step further or slightly different… which THEY ALWAYS DO and it’s not a big deal and we usually like it eventually and in spite of ourselves anyway (*ahem* how many of you flipped out when you found out a young Australian pretty boy blondie was being cast not so long ago?? ), so seriously guys… I’m confused. Is all this ruckus JUST because it’s new and a little different? 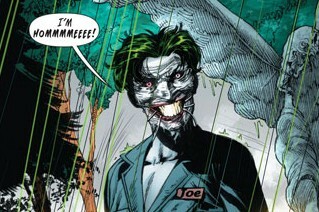 If we are only comparing Jokers in film sure- it’s a lot different, but compared to the books, it isn’t.